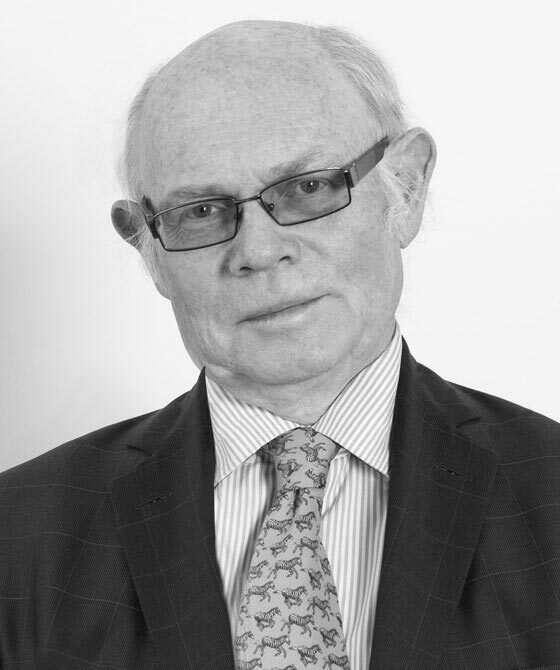 John Friel is a highly experienced practitioner with particular expertise in public law issues. He has developed a strong practice with extensive experience acting for local authorities, private applicants, charities, independent schools, maintained schools governing bodies and provides a prompt response to instructions. He has won leading cases in the House of Lords, Court of Appeal, and High Court. He is available for direct client access in certain cases. John has handled a large number of highly complex, complicated and difficult cases in the Special Education Needs Tribunal. The amount of tribunal cases has increased, and the cases have increased in complexity, and in difficulty. John has achieved a commendable degree of success in such cases. Special Needs and Legal Entitlement: The Essential Guide to Getting out of the Maze, written by John Friel and Melinda Nettleton, is a straightforward and comprehensive guide to the legal rights of children and young people with special educational needs, and to the Children and Families Act 2014. John represented the school which established the nature of the defence of justification in Disability Discrimination. It is the leading case on Justification. This is the leading case on the rights of children with statements of special educational needs. This case establishing at long last, despite contrary dicta in the Court of Appeal, and some first instance decisions to the contrary that the Human Rights Act does have a significant effect upon school admission appeals, and education law generally. At p.602 May LJ specifically singled out Mr Friel’s submissions for favourable comment. Confirmed Gloucestershire LEA. John appeared for the parents, successfully. Court of Appeal allowed the parents appeal, John representing the parents, on the issue of the structure of the appellate process under the 1996 Education Act. John represented a child who appealed against a decision that the respondent local authority had correctly decided to place her at a maintained special school for pupils with a range of special educational needs rather than an independent school for pupils with speech, language and communication difficulties. An appeal by a LEA against the decision of a Special Needs Education Tribunal to move a child with ADHD and Autism to another school. John’s work in this area naturally overlaps with his work in Judicial Review and Local Government. His wide ranging practice encompasses all areas of reviewing professional conduct for which he has received significant recognition. John has continued to deal with a large number of professional negligence cases, the majority of which settled favourably prior to coming to court and two of which settled in court. Since the House of Lords’ decision in Phelps v Hillingdon (2001) AC 611, few such cases have been fought to the finish. The trend continues. However, in other areas, despite a high degree of success in settling favourably administrative law cases, there have been a number of significant developments. Allegations that a local education authority had negligently failed to protect a dyslexic pupil from bullying or take adequate steps to maintain and support her educational progress were entirely baseless. House of Lords case concerning the duties of a teacher and whether a local education authority could be vicariously liable for the acts of its employees. It was held that there was no justification for a blanket immunity policy in respect of education officers performing the authority's functions with regard to children with special educational needs. An impressive junior at the cutting edge of legal reform in education. He often advises on matters relating to education and disability, and is highly sought after by educational institutions in both the private and public sectors. He also represents charities and governing bodies. Friel's practice often sees him appearing before the House of Lords, the High Court and the Upper Tribunal. "His years in practice mean that John can easily get to grips with the complex facts of a special education needs case in minutes and then advise comprehensively on strategy. In the tribunal setting he is a notable adversary who is able to persuade panels to his way of thinking with charisma and expertise." Strengths: "One of the lead barristers in SEN in the country. He has been involved in some of the landmark cases of the past 30 years, and is an excellent advocate with a brilliant legal mind. John's involvement in tribunal proceedings usually means that a case does not go all the way to a final hearing." 'One of the most experienced junior counsel in this field, he is a popular choice for individuals and parents facing educational issues that require close examination of policy, such as SEN assessment challenges. John Friel is qualified to accept instructions directly from members of the public and professional clients under the Direct Public Access scheme.